The first time I went to a jazz festival was in 2011- I begged my dad to buy tickets to the Newport Jazz Festival because Joshua Redman's "James Farm" was going to be playing. We went to the Friday show and saw Wynton Marsalis- to this day I remember his set list (he started with "All of Me"), then we went to the Sunday shows in the park and it was pouring rain. It was raining so hard a saxophonist in the Mingus Bigband quoted "Singing in the Rain" during his solo. Yet, in that rain I couldn't think of a single place I would rather be, or a kind of music that so characterized what life was about because I witnessed a sense of pure happiness. When I woke up today I was reminded of this pure happiness, and gained the excitement to make the over six hour drive with my father from Massachusetts to Montreal. When we entered Quebec I was reminded of my limited French vocabulary, yet some phrases that I learned in sophomore year of high school came back to me. I went to the press room, picked up my press journalist pass, and had a chance to meet some of the many extremely hardworking people in the festival. 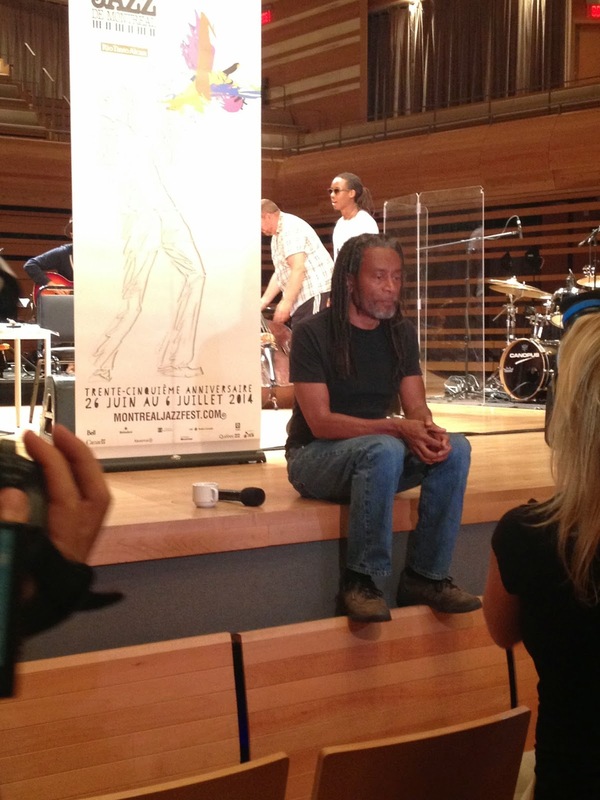 Afterwards I went to a press event, and had the amazing opportunity to watch the soundcheck for the June 30th Bobby McFerrin concert. McFerrin was hugely animated and connected with his ensemble, which included his daughter. The music seemed to be flowing out of McFerrin, with the soulfulness evident in his spirituals. Following this soundcheck was a Q&A with the press and McFerrin. I was surprised by the purity in McFerrin's speaking. He answered every press question with ease, wit, and honesty. After the press event, my dad and I enjoyed some of the great food at the Montreal Jazz Festival, and had poutine, which is a French Canadian specialty- french fries, gravy, and cheese curds. I had the experience of a lifetime going to the Hypnotic Brass concert at the Metropolis, which featured Trombone Shorty. I have always wanted to see Trombone Shorty perform, and this group was a party starter. I stood three rows in from the stage, shook Trombone Shorty's hand, and danced to the music. I was surprised by the group- Hypnotic Brass blends jazz, funk, hip-hop, and rock. There were laser lights, fog, audience sing alongs, and crazy dance moves- not what I would have expected, but it was great just to dance and groove along with the music, which matched a club scene vibe more than a jazz show vibe. Afterwards I went to see the Jam Session at the Hyatt Hotel. There was a house band, which played a few tunes before inviting audience members with instruments to sit in. This was a sort of educational experience for me to see the way this jam session ran. I just wish I had my baritone saxophone with me so I could have sat in too! 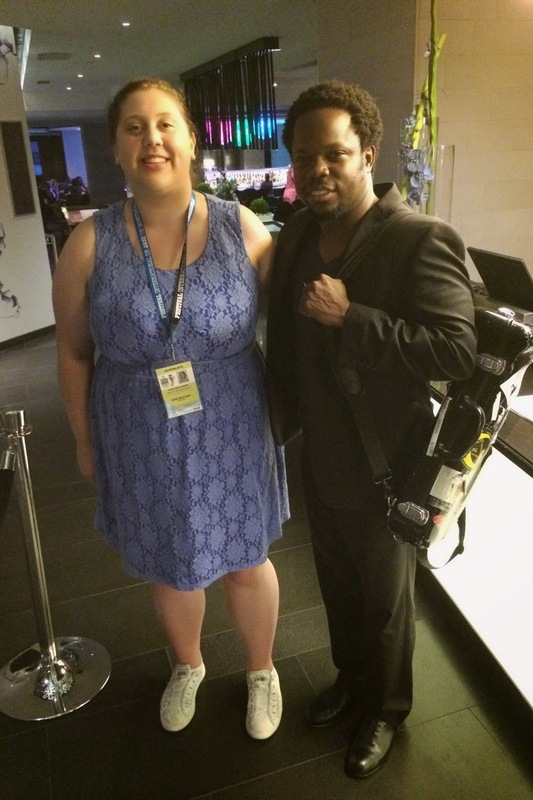 Capping off the night, I ran into Ambrose Akinmusire, and had a chance to talk to him. He was an extremely kind person, which matches his extremely wonderful trumpet playing. It was an amazing first day at the Montreal Jazz Festival. The city is absolutely gorgeous, the people are kind and welcoming, and the music is lively and available to the public. Everywhere I turned I heard more music, whether it was Dixieland, funk, or jazz standards sung in French. People of all ages, from babies, to teens, to parents, to grandparents were dancing in the streets. If only every moment of every day was filled with this sort of enthusiasm and passion for music and life! More detailed reviews of concerts and experiences are forthcoming.